He just finished reading Walt Disney. <= click to read. I really like chicken nuggets. And dinosaur chickens. and Mickey Mouse chickens and and …. Daddy says he like to learn from other people who did super cool things. I like to learn from my daddy. I think that means he was the first to do something. Actually he was the first to do a lot of things. Related: What else did Walt Disney say? It must be hard to go first. To not have someone to copy off of or to learn from. 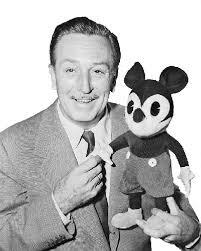 Walt Disney was first. And a LOT of people followed him. Sound in cartoon films – Steamboat Willie is when Mickey Mouse was born). Now those things are all over the place. But nobody knew anything about them until Walt Disney made them up. He went first. He had to listen to people tell him he was stupid and his ideas were no good. He had to prove people wrong … and sometimes right. Walt Disney went first. That’s tough. But look where it got him. I want to learn how to go first, too!